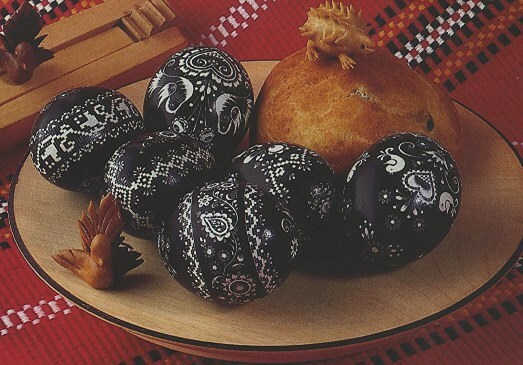 The coloring and decorating of eggs, whether they're boiled or only shells - from which the raw yolk is blown through two opposite holes poked in the top and bottom - is not only a Czech tradition. 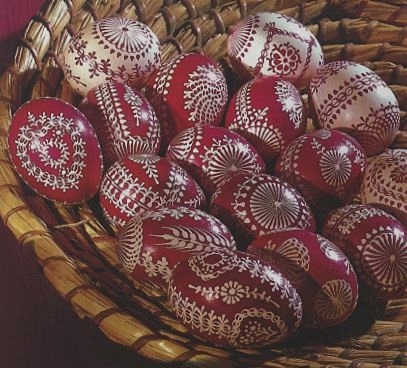 Painted eggs were discovered in a Sumerian excavation from the year 2,500 BC. 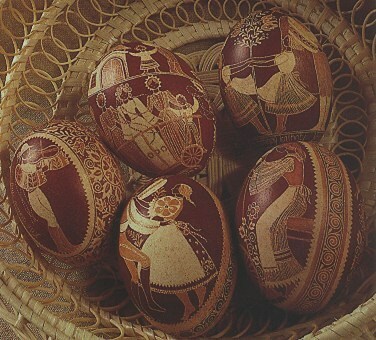 These eggs were deposited in the graves along with the dead as a symbol of never-ending life, which fulfilled the pagan conception of life after death. By painting them they multiplied their magical powers. 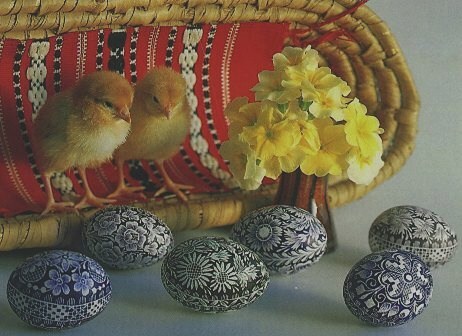 Many centuries later, eggs are decorated as an embryo of new life. 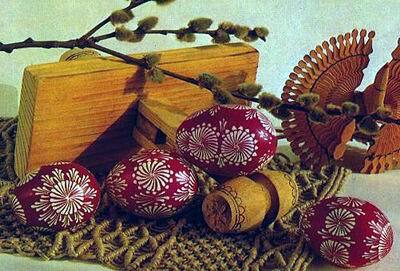 For this reason, decorating eggs was a tradition for welcoming Spring, when nature was coming back to life. The growth of Christianity weakened this sense of the egg, and the interpretation of the egg as a gift to the living grew stronger. The pagan origins of this newly-conceived tradition didn't escape the attention of the Church, which condemned and severely forbade it in Prague in 1366. 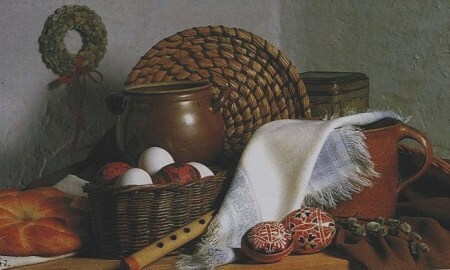 Perhaps it was the poetic nature of the custom, or simply the unknown magical strength of giving eggs as gifts which caused the tradition of decorating and giving away eggs to survive to the present day and even become a popular craft.